One of Beirut's most celebrated voices, Rabih Alameddine follows his international bestseller, The Hakawati, with a heartrending novel that celebrates the singular life of an obsessive introvert, revealing Beirut's beauties and horrors along the way. Aaliya Sohbi lives alone in her Beirut apartment, surrounded by stockpiles of books. Godless, fatherless, divorced, and childless, Aaliya is her family's "unnecessary appendage." Every year, she translates a new favorite book into Arabic, then stows it away. The thirty-seven books that Aaliya has translated have never been read - by anyone. After overhearing her neighbors, "the three witches," discussing her too-white hair, Aaliya accidentally dyes her hair too blue. In this breathtaking portrait of a reclusive woman's late-life crisis, readers follow Aaliya's digressive mind as it ricochets across visions of past and present Beirut. Insightful musings on literature, philosophy, and art are invaded by memories of the Lebanese Civil War and Aaliya's volatile past. As she tries to overcome her aging body and spontaneous emotional upwellings, Aaliya is faced with an unthinkable disaster that threatens to shatter the little life she has left. A love letter to literature and its power to define who we are, the gifted Rabih Alameddine has given us a nuanced rendering of a single woman's reclusive life in the Middle East. My father named me Aaliya, the high one, the above. He loved the name and, I was constantly told, loved me even more. I do not remember. He passed away when I was still a toddler, weeks before my second birthday. He must have been ill, for he died before impregnating my mother with another, as he was supposed to, expected to, particularly since I was female and first. My country in the late 1930s was still trying to pull itself out of the fourteenth century. I'm not sure if it ever succeeded in some ways. My father was barely nineteen when he married and twenty-one when he died, my mother a widow at eighteen. They were supposed to spend aeons together. It was not to be. Alameddine’s presence in An Unnecessary Woman is transparently and unashamedly paired with the voice of Aaliyah, a metafictional note. In lesser hands, the far-ranging dissertations might have seemed like authorial preening, but with Alameddine, in part because of Aaliyah’s rich voice and in part because of the sheer brilliance of her words, the reader is charmed into complete acceptance. By the time I finished the novel, my “must read” list had doubled in size. (Reviewed by Naomi Benaron). Passion is the key to this book, which has already been hailed as a masterpiece: passion for a man, and passion for books. 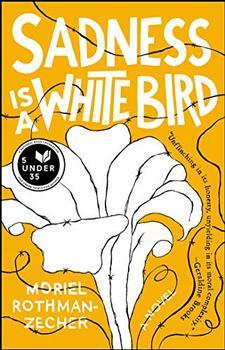 A delightful story for true bibliophiles, full of humanity and compassion. Starred Review. Alameddine’s most glorious passages are those that simply relate Aalyia’s thoughts . . . in the end, Aalyia’s epiphany is joyful and freeing. Starred Review. An intimate, melancholy and superb tour de force...Alameddine’s storytelling is rich with a bookish humor that’s accessible without being condescending. A gemlike and surprisingly lively study of an interior life. A contemporary fable about passion: passion for literature and the passions of love. [Alameddine]'s tone is ironic and knowing; he is fascinated by the relationship between life and books. He is a great phrase-maker and a brilliant writer of sentences. And over all this fiercely original act of creation is the sky of Beirut throwing down a light which is both comic and tragic, alert to its own history and to its mythology, guarding over human frailty and the idea of the written word with love and wit and understanding and a rare sort of wisdom. This woman—Aaliya is her name—for all her sly and unassuming modesty, is a stupendous center of consciousness. She understands time, and folly, and is wonderfully comic. She has read everything under the sun (as has her creator, Alameddine), and as a polyglot mind of an old world Beirut, she reminds us that storehouses of culture, of literature, of memory, are very fragile things indeed. They exist, shimmering, as chimeras, in the mind of Aaliya, who I am so happy to feel I now know. Her particularity, both tragic and lightly clever, might just stay with me forever. Gorgeous female protagonist, tons of literary and historical references. Uplifting despite "downer" material of senseless war and misogyny of time and place. Lebanon is a tiny state (about two-thirds the size of Connecticut) bordering the Eastern shore of the Mediterranean Sea. Its geographical location, nestled between Syria to the north and Israel to the south, combined with the complex and delicate balance between its various ethnic and religious populations (totaling about 5 million), have endowed the country with a political role and influence far greater than its size would predict. Shaped by both European and Middle Eastern cultures, it has been, in the words of CNN's country profile, "the gateway between Christian Europe and the Arab Middle East and North Africa." 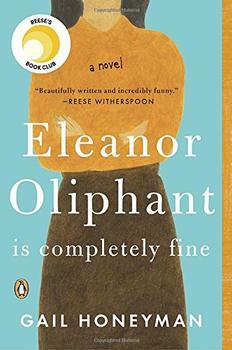 Smart, warm, uplifting, Eleanor Oliphant is Completely Fine is the story of an out-of-the-ordinary heroine whose deadpan weirdness and unconscious wit make for an irresistible journey.